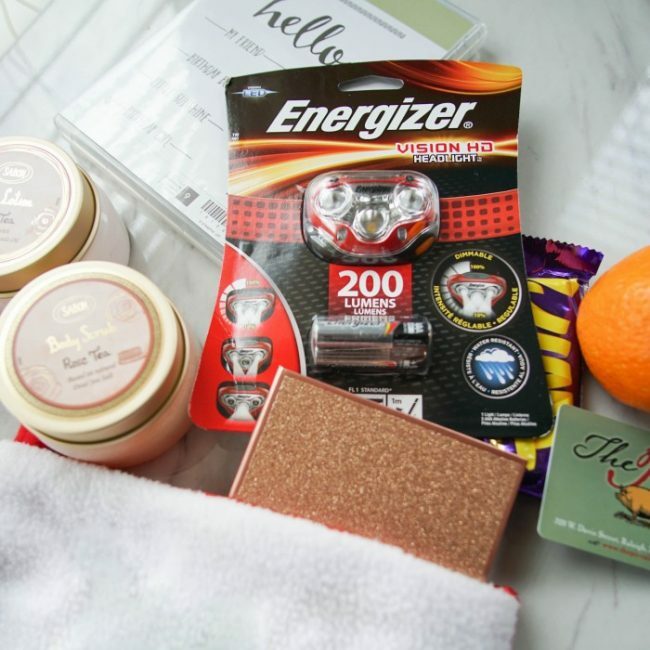 Now that you’ve settled on the main Christmas gifts for your partner, children, and loved ones, it’s time to start thinking about stocking stuffer gifts! 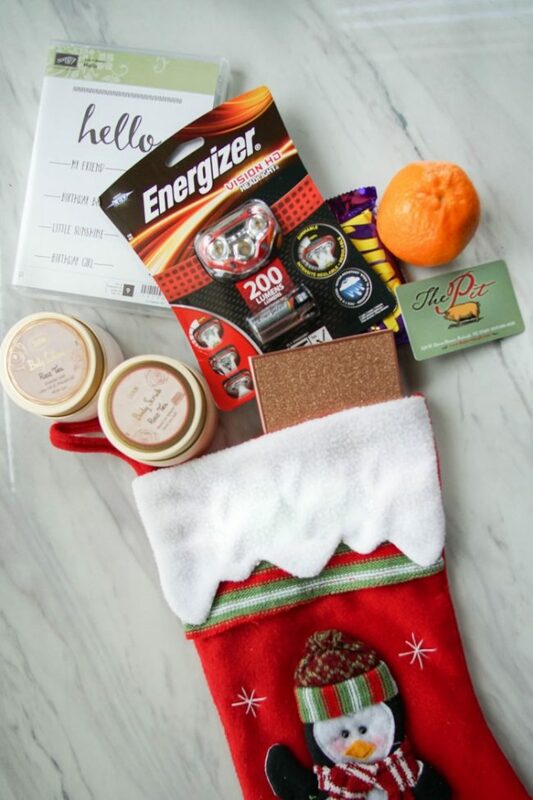 We’ve complied a list of our favorite stocking stuffers for adults and kids so you can find something for everyone on your list! 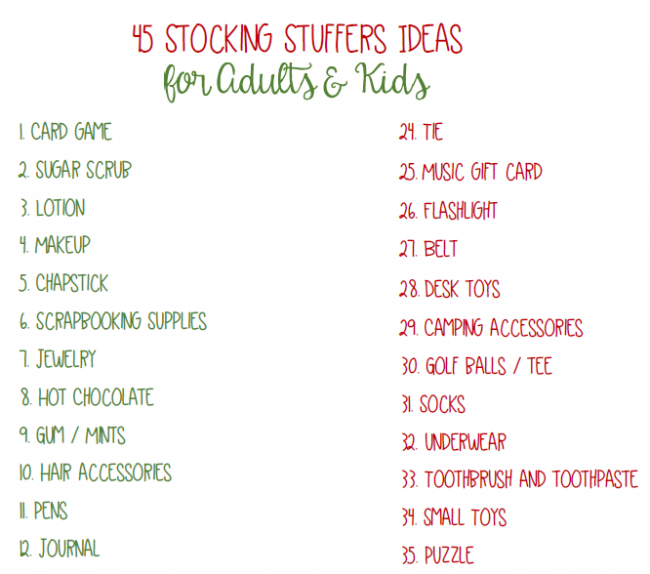 Plus, grab the free printable stocking stuffers list to making planning and prep easy! This post is sponsored by Energizer. All opinions are my own. 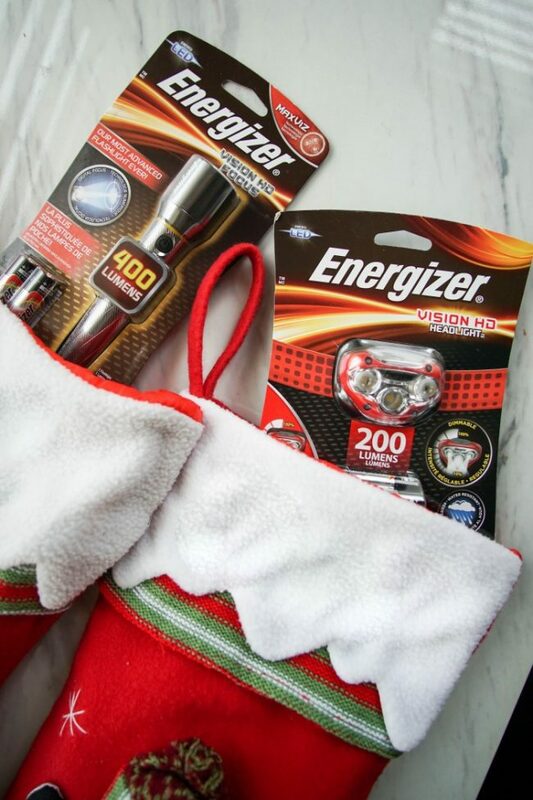 No matter what your loved ones are into, Energizer has great products that are perfect for adding to their stockings this year. For the DIY’er an Energizer® Vision HD+ Focus LED Headlight will give them the light they need to create something no matter the time of day. With an impressive 180 lumens light output and 3 different light modes including a new dimming feature you’ll have just the right setting for every task you manage. Pivot the light to shine right where you need it for your projects. Plus with the hands-free design you’ll be able to focus on your task without using up one of your hands you might need for your other tasks. Take along an Energizer® Vision HD Performance Metal Lights. It’s slim and compact size doesn’t sacrifice in light quantity. With an impressive 400 lumens it will be great for camping, shooting, paintball, flashlight tag, and other outdoor adventures. Or use one of these great lights to take care of evening tasks and improve safety on a late evening walk. The light can easily transition from a spotlight to a flood light with a one-press digital focus giving you a variety of uses for every need. It’s designed to be durable and long lasting so it can keep up with whatever you have planned. You can find both of these Energizer lighting products available for under $30 at local retailers including Target, Lowes, and on Amazon. 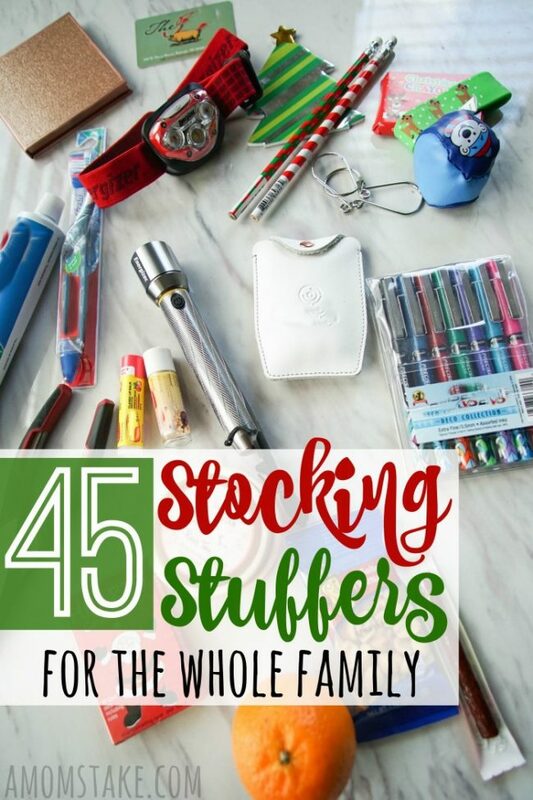 Grab our free printable list of these 45 creative stocking stuffer ideas to help make it easier to plan and prepare for the holidays! What’s your favorite thing to add to stockings? Great list. Amazing Gifts for everyone. The energizer products are perfect for my family. They seem to all love flashlights of all kinds, it’s funny! These are great ideas! 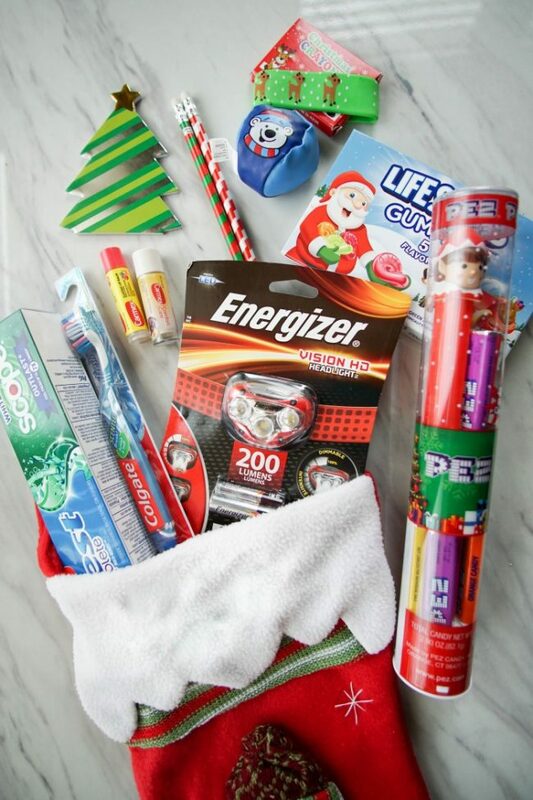 I always like to put toothbrush/paste and some candy in my kids stockings. This is perfect! I love that printable list! I find I get the same items for stocking stuffers every year. Thank you for this great list. It will come in handy. Great list! 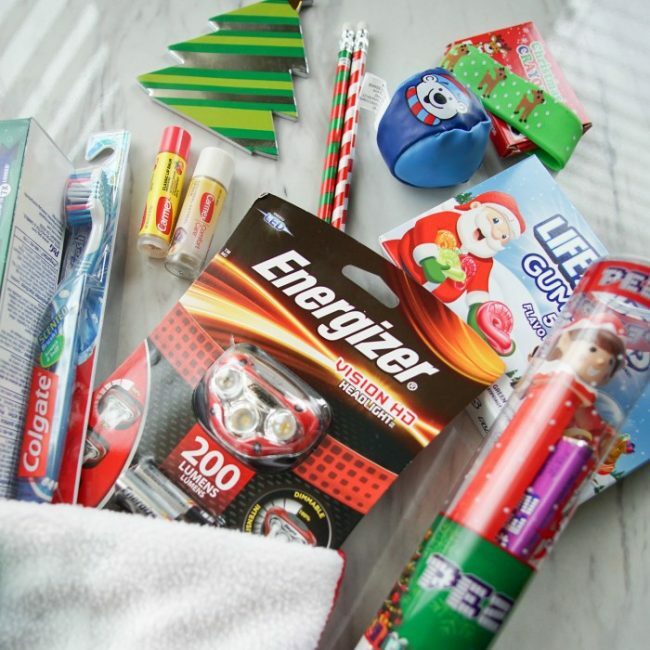 I always put batteries in my kids stockings since they love to steal ours out of remotes. All great ideas! Thanks for the reminder about batteries! I keep forgetting to stock up before the big day! That is a mega helpful list. I was running out of fresh ideas for stuffers. I love this list! It’s so extensive. I feel like such a slacker in the stocking stuffer department! OMG! What an extensive list! I feel like such a slacker now! My girlfriends and I have maybe had two girls’ nights out this entire year. I’m forcing our hand and getting everyone gift certificates for fun so we are obligated to get together! These are perfect! I’ve been needing a few extra things for the stockings this year. I like having a mix of useful and fun gifts. These are all such great ideas. I’d love any of them in my stocking. 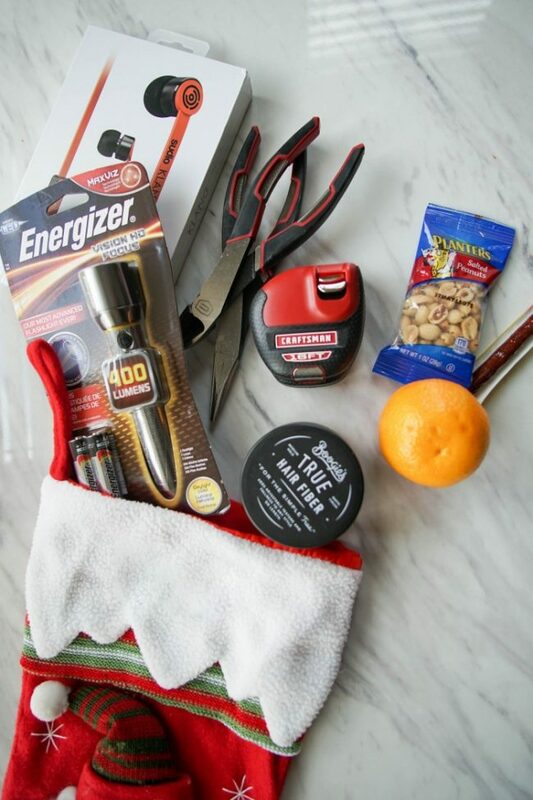 Of course Energizer is a product we love to use in our home as well. The battery-operated gadgets are really amazing! I could use some for my new home. I am always looking for ideas for stocking stuffers. I like to add batteries and other essentials. Treats are a must as well. Those are some good finds! Stockings are one of my favorite parts about the holidays. I am actually looking to for ideas to put in the stocking stuffers. This list is very complete and I am pretty sure I will be getting a few things that you mention here. Such an amazing list! 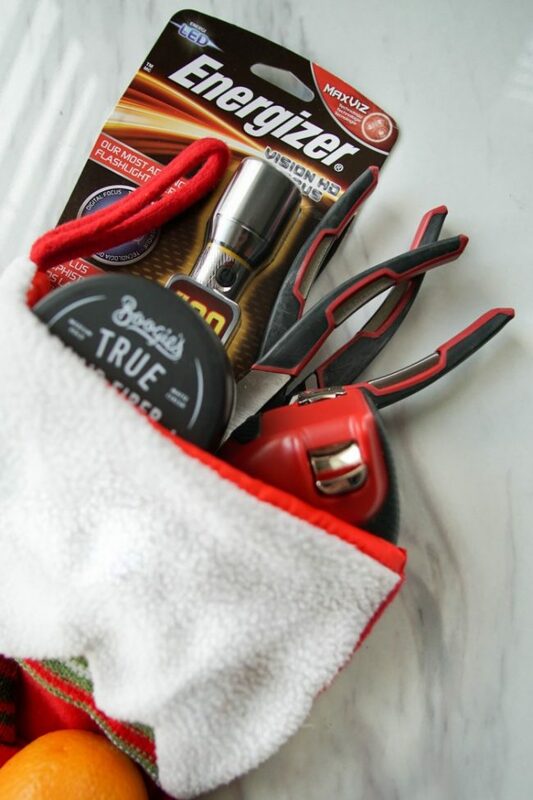 I’m always looking for stocking stuffers, especially for my hubby! Stocking stuffers may be more fun than the main present. My husband loves tools and the kids go through batteries like crazyy so they are always good to have. Great list. I’m a big fan of batteries as stocking stuffers. So many gifts need batteries! This is an awesome list. Batteries are ALWAYS a good idea.